A Clinometer is an instrument used to measure the angle of elevation from the ground and the height of the tallest things in which reaching the top of a particular product is not possible. 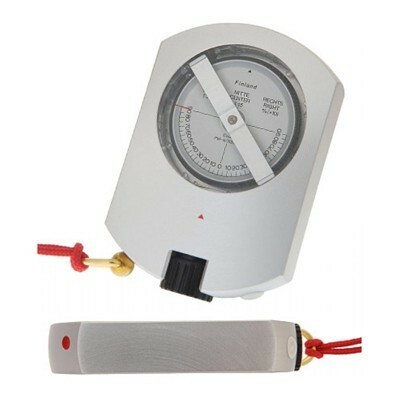 India Tools & Instruments Co. has earned a huge appreciation in the market as one of the most zealous Clinometer Manufacturers, suppliers and exporters from Mumbai. Our products are made from robust raw materials and guarantees expected results. It provides easy operation and has the ability to affirm great results. We serve our wide range in different configurations that all our products are manufactured and tested at our in-house facility under strict surveillance. Our quality auditors keep a strict eye on the process to ensure our customers won't get dissatisfied with our range in any manner. Being a remarkable Clinometer manufacturer, supplier and exporter from India, we are also engaged in serving the foreign clients from countries like Japan, Australia, Algeria, Argentina, Africa, Angola, Russia, Belarus, Jordan, Brazil, Benin, Zimbabwe, Botswana, Egypt, Somalia, South Africa, Latvia, Burundi, Cambodia, Ghana, Cameroon, UK, Ethiopia, Cape Verde, Sudan, US, Swaziland, Turkey, Uganda, Vietnam, Gambia, Malaysia, Dubai etc.